Ultra Cool Blue Matrix Sunglasses, lovely pearl finish. Supplied with either plano non-prescription lenses as depicted or with standard prescription distance, reading or intermediate lenses. Tint and UV coating supplied as standard. Current tint is Grey Graduated. 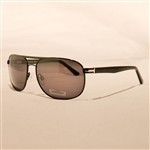 Mens quality metal Point Blank sunglasses in black or gunmetal. Supplied with either plano non-prescription lenses as depicted or with standard prescription distance, reading or intermediate lenses. Tint and UV coating supplied as standard. Current tint is Grey. Mens quality metal Point Blank sunglasses in gold. Supplied with either plano non-prescription lenses as depicted or with standard prescription distance, reading or intermediate lenses. Tint and UV coating supplied as standard. Current tint is Brown. 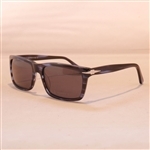 Mens or ladies Point Blank sunglasses in black/coffee or matt black. Supplied with either plano non-prescription lenses as depicted or with standard prescription distance, reading or intermediate lenses. Tint and UV coating supplied as standard. Current tint is Grey. 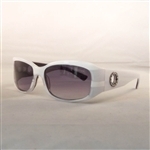 Mens designer sunglasses from Christies. In two colours, black or bronze. Supplied with either plano non-prescription lenses as depicted or with standard prescription distance, reading or intermediate lenses at no extra cost. Tint and UV coating supplied as standard. 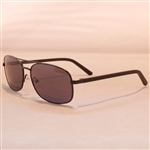 Current tint is Grey Polarized Mens designer sunglasses from Christies. Blue with Polarized Grey lenses. Supplied with either plano non-prescription lenses as depicted or with standard prescription distance, reading or intermediate lenses at no extra cost. Tint and UV coating supplied as standard. Current tint is Grey Polarized.